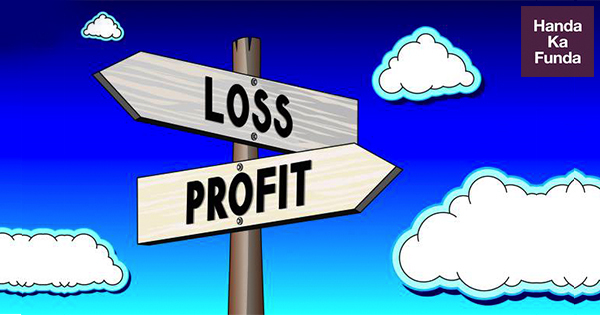 Profit and Loss is the one concept that we have been studying since class 6th or 7th. It is present in our day-to-day simple transactions from buying vegetables to purchasing expensive jewelry. Everything we purchase today includes profit and loss. Our whole economy from big MNC’s to small retail outlets has been running with the same single intention to make profit. Whatever is being traded in the market has same motive to earn profit. Every seller aims to earn some profit over the product he is willing to sell and from the buyers’ perspective he is earning profit in terms of utility he gets while consuming the product. This one basic concept has been there for centuries. And loss is like the other side of coin. With profit comes loss. Ups and downs are part and parcel of business. Sometimes firm make loss and at other times profit but, earning loss. Since, before starting any new venture or assessing the performance of the running one, it’s necessary to understand and analyze the profitability of it. And this is the reason why this topic is so significant and is included in CAT exam. Therefore, in this blog you will learn about the very basic concept of profit and loss and its application into complex CAT problems. To understand the concept let’s first open a shop say a local retail stationary shop. Now suppose a student shows up and wants to buy 5 gel pens worth ₹ 5 each. So, what is the profit earned by the shopkeeper in net terms and its profit percentage? Now this ₹ 5 is the selling price, the price at which the commodity is sold to its buyer. And let ₹ 4 is the price at which the shopkeeper has bought these pens from his supplier and this price is known as Cost Price. Thus, this difference between the price at which shopkeeper buys his pen and at which it is sold is known as profit/ loss earned. Now if Selling Price > Cost Price then he will earn profit and if Selling Price < Cost Price, then he will earn loss i.e. And consequently, Loss = Cost Price – Selling Price. Now suppose another customer comes to the shop and bought 2 registers worth ₹ 50 each and a pencil box from him. And this time the shopkeeper has earned 40% profit on the registers. He earned profit of ₹10 on pencil box and the profit % on pencil box is 20%. Then what is the cost price and profit on register and selling price and cost price of pencil box? What if the profit of 40% is on selling price instead? Now since not many customers showed up on the first day of shop. Therefore, to popularize the shop the shopkeeper puts up discount of 20% on all the products. The first customer shows up and bought a packet of pencil and 3 erasers and still making up the profit of 30% on both the items. Then what is the actual cost price of both the items when the pencil is marked as ₹30 and eraser ₹ 5/ each. Now what does the underlined marked mean? Here marked means Marked Price is the price that is offered to customer before discount basically, discount is just difference between marked price and Selling price i.e. Discount = M.P. – S.P. The above method of solving questions was a direct straightforward way of finding the solution. There’s also an alternative way of doing so. Let’s now learn that alternative method but this time instead of earning profit the seller was earning the loss. Consider this situation, that the stationer sold a parker pen at a loss of 20% for ₹ 100 and a pack of colored sketch pens at loss of 15% on S.P. What is the cost price and selling price of both the articles? S.P. = 0.8 of C.P. Here, first find out cost he has incurred to produce the watches. Since, he made 1500 watches costing ₹ 150 each and an additional ₹ 30000 expense on them. Also, the left over 300 pieces of clocks would have been sold by the watchmaker in off season @ 100 each. Instead of a meter scale, a cloth merchant uses a 120cm scale while buying, but uses an 80cm scale while selling the same cloth. If he offers a discount of 20% on cash payment, what is his overall profit percentage? This question above is a special one with the faulty dealer. Here, the dealer is earning profit by using false scale. Now this merchant again uses faulty scale to sell the cloth to his customers. Now he also gives discount of 20% on the cloth. So, after deducting [email protected]%. As you can see the above problem was a bit tricky, you will face similar problems in the exam. You will get more idea of the type of questions you need to practice through past year CAT papers. This is a very important topic. Every year around 3-4 questions come in the exam on profit and loss. So, practice this topic thoroughly. Quantitative Aptitude – Arithmetic – Profit and Loss – Q1: Mayank buys some candies for Rs 15 a dozen and an equal number of different candies for Rs 12 a dozen. He sells all for Rs 16.50 a dozen and makes a profit of Rs 150. How many dozens of candies did he buy altogether? Quantitative Aptitude – Arithmetic – Profit and Loss – Q5: If a seller gives a discount of 15% on retail price, she still makes a profit of 2%. Which of the following ensures that she makes a profit of 20%?